167. A drum or cylinder having an endless spiral groove extending all around it; one half of the groove having its pitch in one, and the other half its pitch in the opposite direction. 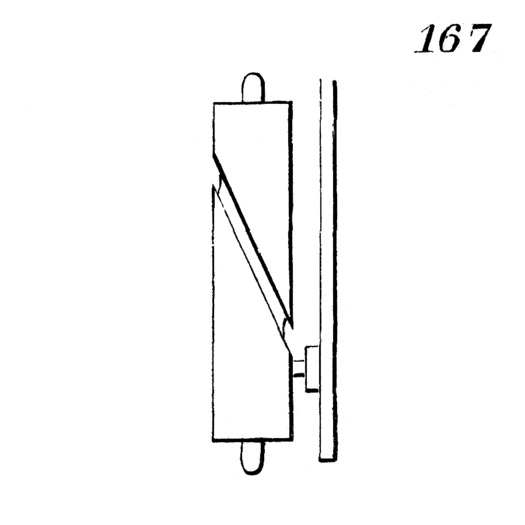 A stud on a reciprocating rectilinearly moving rod works in the groove, and so converts reciprocating into rotary motion. This has been used as a substitute for the crank in a steam engine.